Stirling Properties announces exciting new residential improvements planned for the Retreat at River Chase in Covington and Retreat at Fremaux Town Center in Slidell’s multifamily apartment communities. The $1 million upgrades will be spread across both properties with an emphasis on enhanced residential amenities and revitalized common spaces. Construction work has begun on the installation of state-of-the-art seafood and grill stations. Large pavilions will be erected and equipped with grills, seafood boil space, and granite counter tops with built-in waste receptacles for discarded seafood shells. The space will also include lounge areas with fire pits and yard games. The pool area will be upgraded to include a more resort-style setting with furniture, landscaping and pull-down projection screens to watch sporting events. All amenities will be accessible for residents of the properties on a first come, first served basis. Additionally, parcel pending lockers, also known as “smart” lockers, will be installed in central areas of the facilities to collect delivered packages and e-commerce orders for residents. A property manager will receive all deliveries, assign the packages to an individual lockbox that alerts tenants of the delivery and provides a digital access code for easy, convenient retrieval. The lockers are designed to eliminate clutter due to the overwhelming amount of daily delivered packages to residential properties and to provide an extra layer of security for parcels otherwise left unattended on doorsteps. Work has already commenced on the projects, and anticipated completion is planned for the end of March. Justin Landry, Vice President of Finance for Stirling Properties, noted that the demand for high-quality apartment properties continues to be strong, especially in high population growth areas such as St. Tammany Parish and the Northshore region of New Orleans. However, demographic shifts and technological advancements are affecting housing, and tenant expectations are becoming increasingly sophisticated in the multifamily residential market sector—they want luxury living, ample amenities, open and active public spaces, all at affordable prices. The Retreat at River Chase (formerly Springs at River Chase) is a 296-unit luxury apartment community located within the 253-acre River Chase mixed-use development at Interstate 12 and LA Hwy. 21 in Covington, Louisiana. 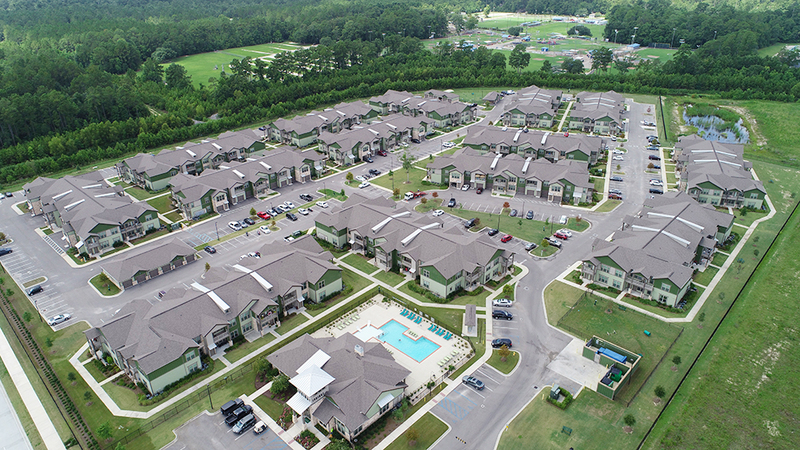 The Retreat at Fremaux Town Center (formerly Springs at Fremaux Town Center) is also a 296-unit multifamily community located within the Fremaux Town Center mixed-use project at Interstate 10 and Fremaux Avenue in Slidell, Louisiana. 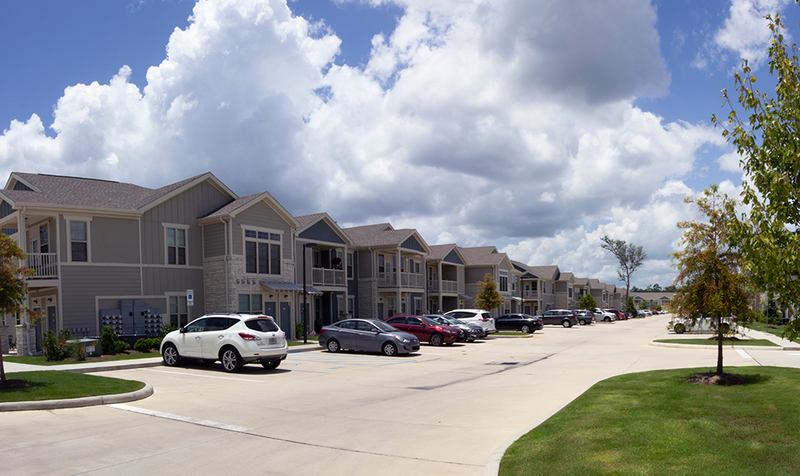 Stirling Properties’ residential portfolio includes 1800 multifamily units totaling more than 1.5 million square feet of properties throughout South Louisiana.